I wish I could tell you why I've yet to play--or even buy a copy of--Falcom's Gurumin. I can't even claim ignorance, as I've known of this adorable action-adventure game's existence for years now. On top of that, I've heard nothing but good things about Gurumin's gameplay, which appears to be one part The Legend of Zelda and one part Mega Man Legends. Although I could bite the bullet and buy the PSP port of the game--both Japanese and North American copies are pretty cheap these days, especially used ones--I have a feeling I'll pass on that option and instead plop down $14.99 on the just-announced Gurumin 3D. 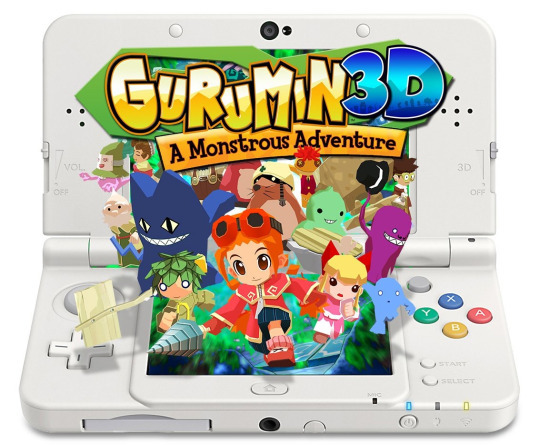 Yes, that means Gurumin 3D is a digital-only title. No, I'm not thrilled about that. Yes, I'd prefer to purchase and own a physical version of the game. Despite the above, I'm pretty sure Gurumin 3D will soon take up space on one of my North American 3DS systems, as it's far more likely I'll actually play it than the above-mentioned PSP release. Here's a trailer for the game, for those of you who are curious. Once you've watched it, let me know what you think. Also let me know--in the comments section below, naturally--if you intend to buy this title or if you've already played some other iteration of it.